Non Remy Hair Extension Clip-On 16 Pack 1 Bundle Weight 100 gms ( each hair extension ..
20" blonde Remy hair extension 1 BundlesPack3 BundleSWeight 100 gm StyleLoose CurlyFiber100% Vi..
Curly Non remy Hair Extensions, Indian hair, European hair, Brazilian hair, Malaysian hair, Chines.. 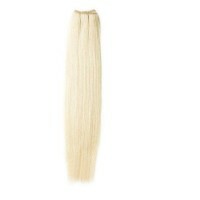 These days hair extensions are becoming an essential part of women’s wardrobe. They are quite beautiful and fashionable. 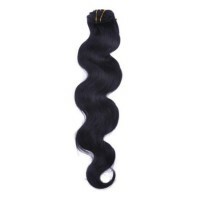 Virgin Remy Hair extensions and wigs have also been used during ancient days. Egyptians were the first one to use them. Hair is one of the essential parts of a human body. It enhances our personality. Hair extensions and wigs are trending a lot among both men and women. If you have thought of buying one, then go for online purchasing as it will not cost you much. It not only covers up the hair but also adds to your glamour. Most of the hair comes from countries like China, Malaysia and China. These countries are flourishing in the business of hair supplying. When we talk about hair, it differs from person to person. In certain cases nature has not been generous enough with people who crave for beautiful and dense hair. Some people in spite of having good quality of hair are quite cruel to it. In the quest of looking good and fashionable some people damage their hair. A healthy hair shines more as compared to a dull and dry hair. 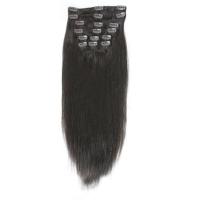 When it comes to hair extensions, virgin remy hair extensions are much popular among people. The Religious factor- There is a ceremony which is called Tonsuring performed in some Indian Temples where women happy offer to have their head shaved as a devotion to God. The money raised for this shaving of hair is used in charitable purpose. This is a way of showing devotion to Lord Vishnu. This factor greatly affects the quality of hair extensions. These hairs are used for making hair extensions for men and women. The Genetic factor- The painful reality is that our genetic factor is completely beyond our control. The length of a person’s hair is also determined genetically. It cannot grow beyond that. This is what is the reason that a person cannot grow their hair till their knees. But the texture of Indian hair allows it to grow long. Due to the genetic effect, Indian women’s hair grows faster as compared to women of African community. The cultural factor- In most of the Indian culture, short hair is considered as ‘unfeminine’ and the beauty of the female is measured based on the length of hair. There are still some men who will not accept their wife having a short hair. This is the reason why women let their hair grow longer. Temple hair suppliers basically deal with those hairs that are exported from India and that is sacrificed by the devotees in temples in India. Those hairs are used to make wigs and hair extensions. The sacrifice of hair is a century old custom among Indian’s. 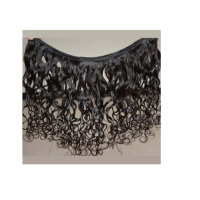 Temple hair suppliers are getting popular day by day as people prefer buying Indian hair extensions.